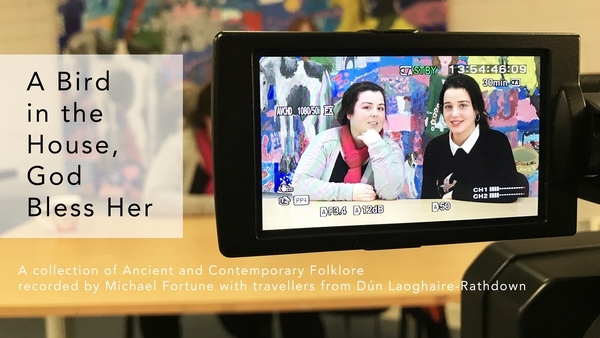 For the Easter weekend soon to be in it, folklorist Michael Fortune shares his latest series of 'field recordings' documenting old Irish traditions. In Co. Wexford, there is a very old tradition of dressing up and going 'Guggin’ for Eggs' at Easter. The tradition was on the verge of complete disappearance, until Wexford artist/folklorist Michael Fortune started documenting it back in 2006. Recently, he began a series of conversations via social media, sharing his knowledge and bringing it back to the attention of local people where it was once practiced. In the days leading up to Easter Sunday, children in mid and north Wexford would dress up, some with masks and some without, and go 'Guggin’ for Eggs'. Armed with a stick, a basket, an apron and old clothes, children would walk out from the villages and towns and call to farms in the countryside, demanding "Eggs or money, mam?" This was mostly done on Easter Saturday, while some also went out on Easter Monday. Most children went out during daylight hours; however, the bigger ones went out in disguise at night like at Hallowe’en. The collection of hen and duck eggs, which were sometimes dyed by methods such as boiling with onion skins and nettles, were then eaten on Easter Sunday. Some were sold to make money. 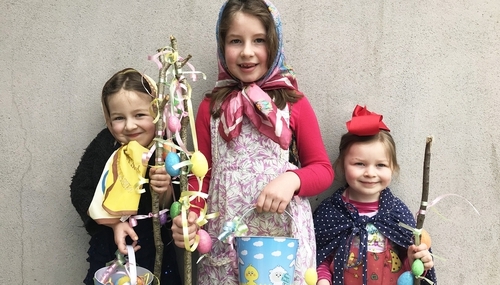 This tradition is more than likely related to the Pace-Egging (Easter) traditions found in Northern England, and it is traditionally at it’s strongest in North Wexford. The tradition was also practiced on the Carlow side of Mount Leinster, where in the Ballymurphy area the local children went out looking for the 'Pleadóg' which was their name for these Easter Eggs. The term 'guggin' comes from the word 'gug which is a name used for an egg all over Ireland. Included here are four short but very important recordings which Michael captured over the past twelve years which bring you closer to the people who practiced this tradition.